This section is for you to learn more about the house and the surrounding area. We have broken this down into three categories: The Village Home, The Food, and The Area. Click on any of those links or on the tabs in the About sub-menu above. 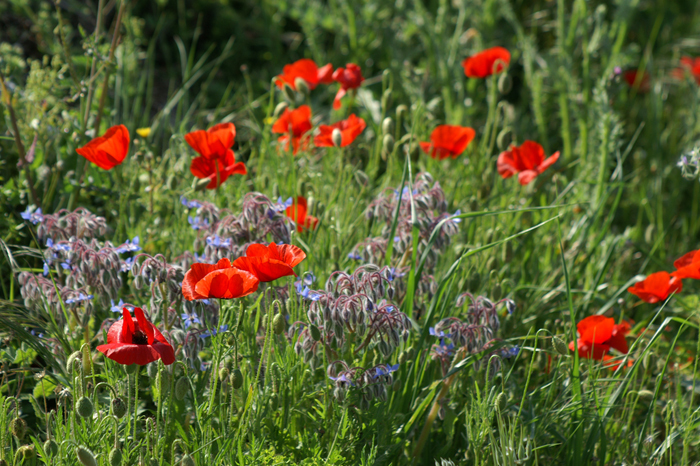 Poppies bloom in the fields near by. A fully furnished home completely renovated from top to bottom in a 14th century building in the beautiful Languedoc-Roussillon region of southern France.